Great post as always. You can find full issues of Synapse on the Cynthia/Cyndustries website here. 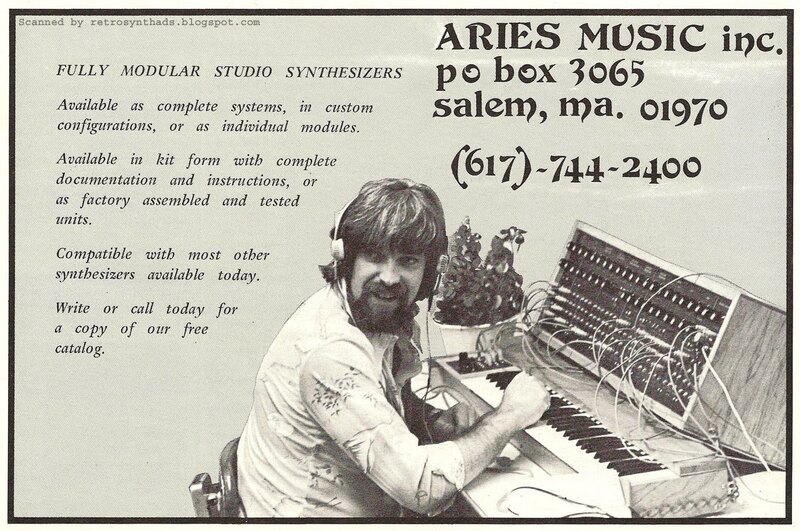 "The 'second dude' that is not in the ad, but is in the photo on the brochure (see MATRIXSYNTH link above), has gotta be Dennis Colin. I'm basing that comment on the crazy beard alone. 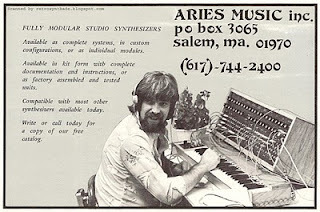 Dennis was the designer of the Aries 300 - and according to Rob's site, before the Aries, Dennis designed the Arp 2600!" You are indeed correct- The man with the big beard IS my dad Dennis! And yes, he is the man who designed the 2600. He's a pretty amazing guy, and an even more amazing father.